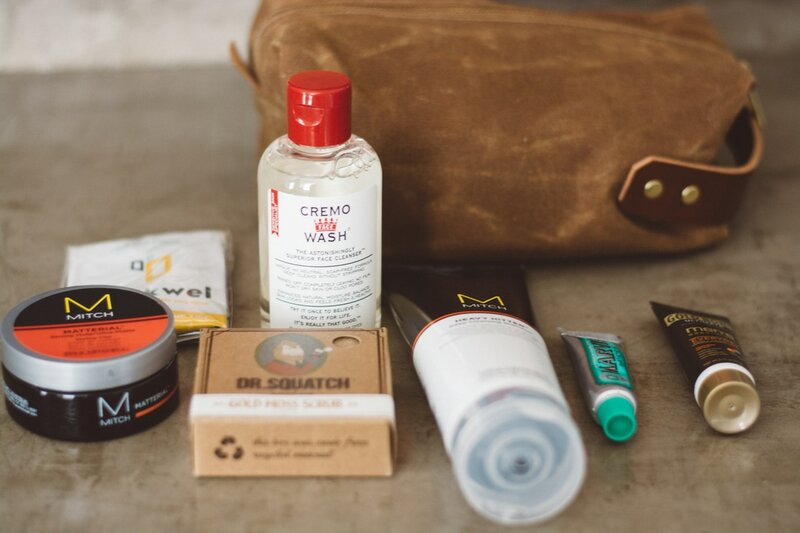 The Dopp Kit - Blue Claw Co. 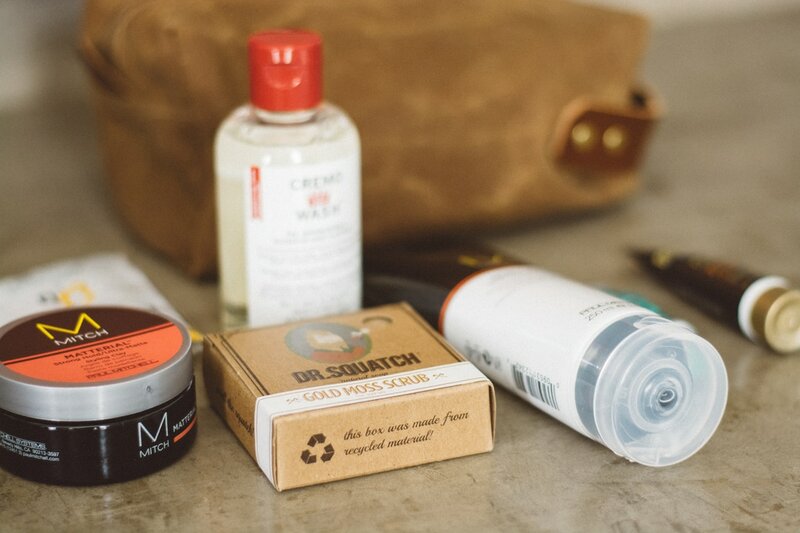 These dopp kits were designed exclusively for the Refresh Bespoke Post Box and are crafted with care here in the States. 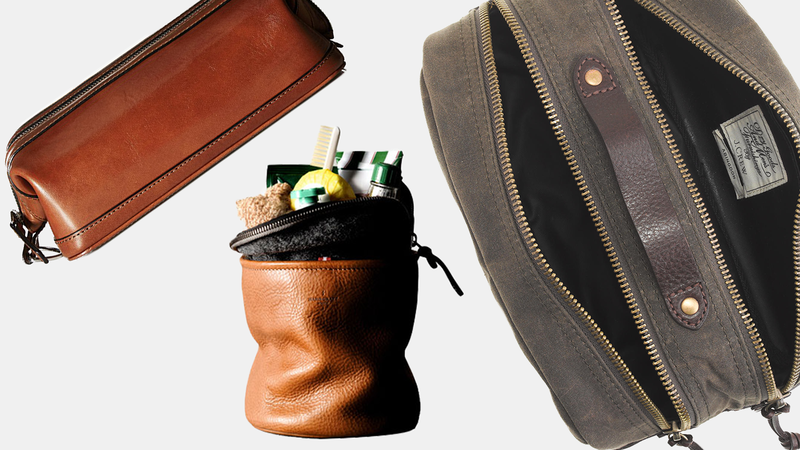 The sturdy exterior uses a heavyweight 15oz waxed canvas sourced from family-run American mills. 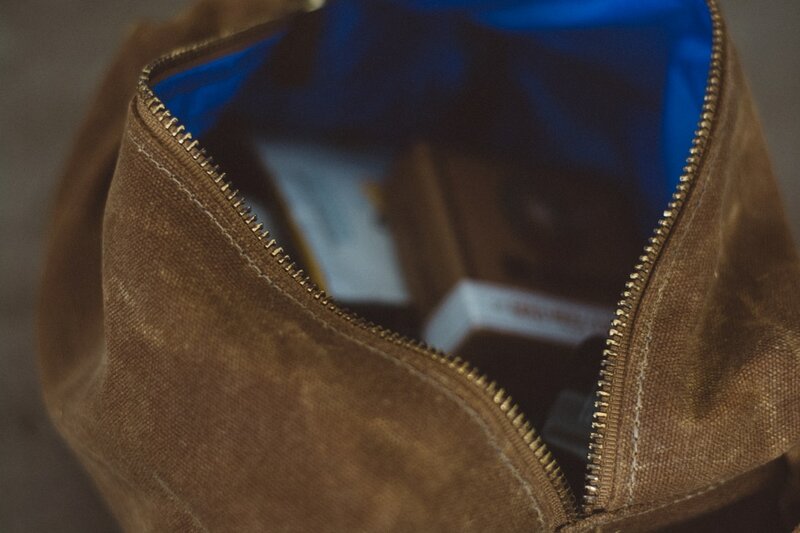 The details include: a full-grain leather handle and pull tab, brass zipper and rivets, and Blue Claw's signature blue ballistic nylon lining all lend some polish. This kit comes in four different colors: a rustic olive, a dark navy, a stoic gray, and a light tan. We are big fans of the British Tan but all of them are pretty sick. - Heavy Hitter Shampoo ( 8.5 oz ) - MITCH by Paul Mitchell - Get the gunk out of your mane. MITCH's formula cleans deep down to get rid of dirt and product, but won't strip away the natural oils that keep your hair soft and shiny. And the refreshing cedar and agave scent will leave you smelling as good as you look. - Matterial Styling Clay ( 3 oz ) - MITCH by Paul Mitchel - A helping hand for your hairstyle. This stuff is easy to apply and dries soft and shine-free, for when you just want a bit of flexible texture that doesn't look overdone. 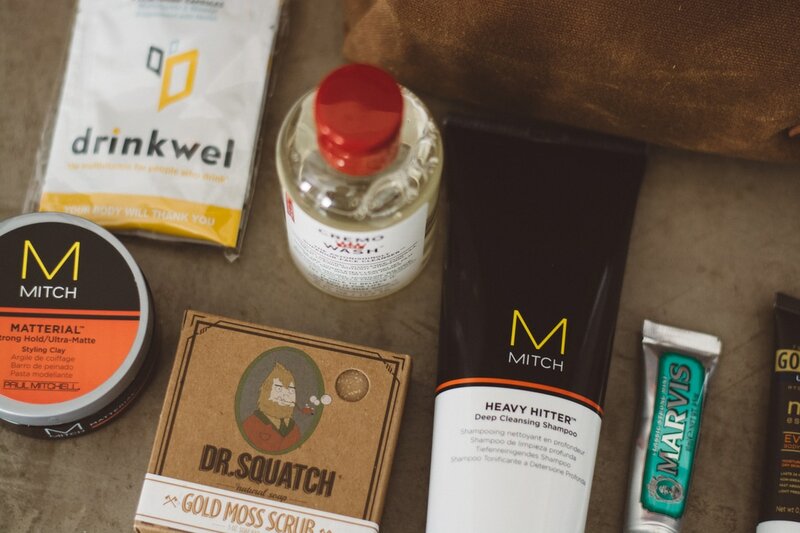 ​- Natural Handmade Soap ( 5 oz ) – Gold Moss Dr. Squatch - These all-natural soaps are made by cold-pressing olive, coconut, hemp, and fragrance oils with organic shea butter and sea salt. The Gold Moss version has a woodsy, fresh scent that gives you burst of the outdoors. - Face Wash (6 oz ) - Cremo Company - This well-balanced facial cleanser is pH neutral, with a concentrated foaming gel that leaves your face feeling so fresh, so clean. - Toothpaste ( 0.5 oz ) - Marvis - A minty import from Italy, packed in an old-school, apothecary-inspired tube. It'll leave your mouth sparkling and your medicine chest looking good. All items were tested and approved by the team... seriously we tried / used everything.